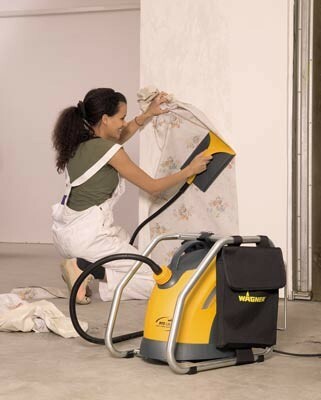 With the ProjectPro 5800 Extra you can steam off all common types of wallpaper, without using chemicals. With just 3 minutes warm-up time, it’s the fastest steamer in its class. Simply fill the water reservoir, insert the power plug into an electrical outlet and you can start! 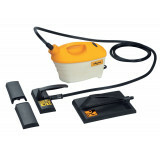 Also perfect for preparing surfaces for painting. Work efficiently. The dual chamber system ensures the unit is ready to use in 3 minutes. Relatively large tank volume of 5.8 litres. Large action radius. The extra-long, ribbed hose of 4.9 m offers great freedom of movement and can easily be stored on the strong metal frame. Simple, safe operation. 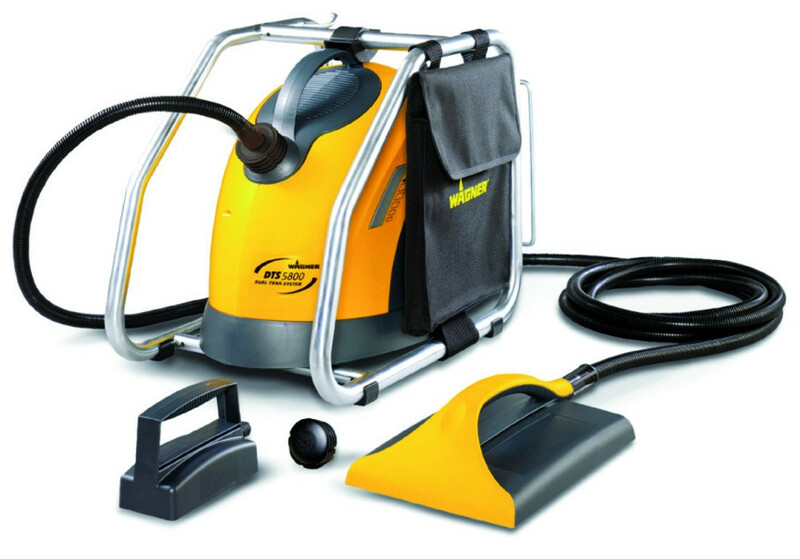 This wallpaper steamer is equipped with an ergonomic handle for tireless operation, a shut-off for protection against overheating, and both a large and small steam plate for books and newspapers.